For admission in TMA ! How to Join Merchant Navy ? 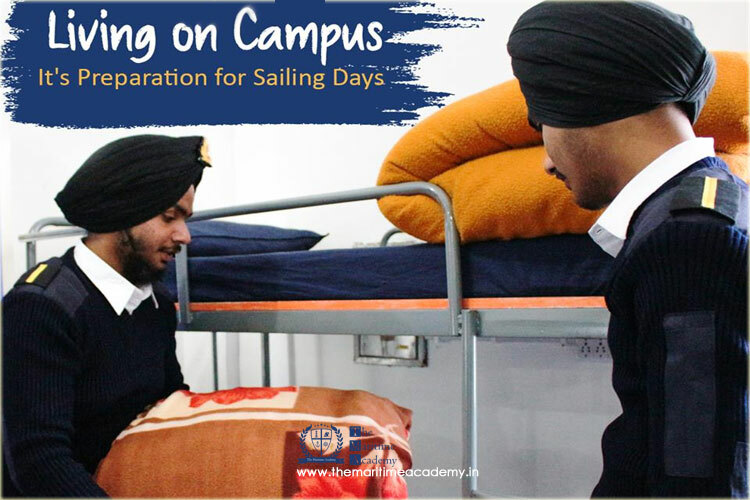 On-Campus accommodation is an integral part of the cadet lifestyle. This gives new cadets the chance to meet each other and experience living away from home before they go away at sea. Our halls of residence named Dr. Kalam Halls are conveniently situated close to our campus and combine. Catered accommodation with easy access. The halls are also easily accessible to a wide range of local facilities like shops and markets. All necessary facilities like clean and hygienic washrooms, well ventilated rooms are available. General facilities include a communal television lounge, after hours study rooms and access to kitchen. Copyright © 2017 - The Maritime Academy. All Rights Reserved.